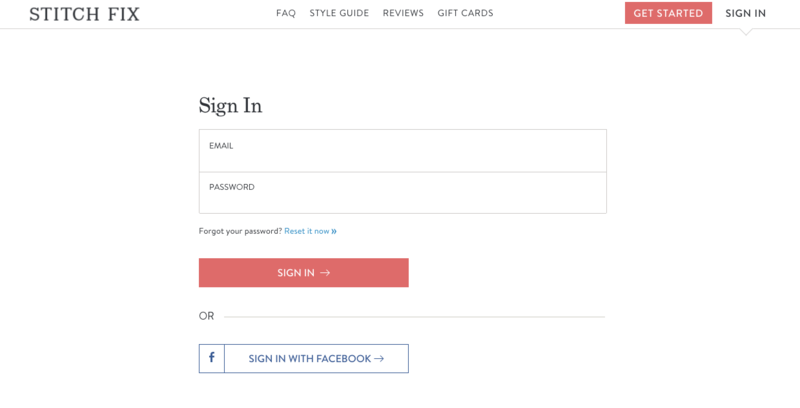 At Stitch Fix, your Style Profile is not a “set it and forget it” kind of profile. It’s a place you should return to again and again as your style—and lifestyle—evolves. Not only is it the first place your Stylist looks to learn about you, but it’s where they return to discover more about you receive more Fixes and as your relationship grows with Stitch Fix over time. Keep reading to see how and when to update your Style Profile! At the top of your Stitch Fix account, head to the “Style Profile” tab to get started. Style Profile Hack: Fill out your Fix Note with the “of the moment” style thoughts that you’d like your Stylist to know. You can update it before your next delivery is sent! Head to the “Size” section of your Style Profile to update or tell us about your size and body shape. You can update your sizing at any time because we get it, we don’t always make it to the gym either. Finally, don’t forget to tell us about your fit-peeves—like what your favorite denim inseam is or if tops tend to be tight across your shoulders. Give us the scoop! Style Profile Hack: Still want to tell us more about your size and shape? Head to the “More About You” section to tell us even more! It’s time to tell us about the way you like your clothes to fit! Just like your sizing, you can change this anytime. Use this section to tell us how you like to wear your jeans, which dress silhouettes you prefer, how you like to wear your tops and the colors that you love (or loathe!). Show your style! The Style section is where we show you styles and you tell us what you like! And yes, you guessed it, you can revisit these at any time. If you want to try new styles—refresh your style preferences often! Items you no longer need! On a budget? Ready to splurge? Tell us how much you’d like to spend on tops, bottoms, jackets dresses and more. You can update your spending preferences at any time. Style Profile Hack: Refresh your spending preferences when the season’s change! Fall’s the perfect time to splurge on a new winter coat, but you can always adjust to save on spring dresses. That’s right, we want to hear more about you! The More About You page is also where you can share your social links with us (like Pinterest!). Want to see other Stitch Fix woman and their unique style? Check out our amazing community! Style Profile Hack: Our #1 Stylist suggestion for getting your best Fix? Get a Pinterest board up and running—your Stylist loves seeing visual inspiration. Ready to update your Style Profile? Head to your profile to polish it up!